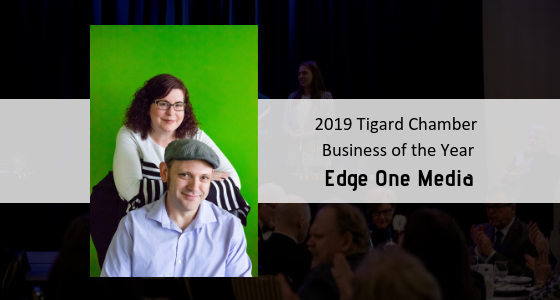 Edge One Media is a Digital Marketing Agency located in the beautiful Pacific Northwest town of Tigard, Oregon a suburb in the Portland Metro Area. Our main focus is on re-defining brands, analyzing where they are and where they strive to be in order to position their brand as a leader in their industry. We do this through solid brand design and language consistency, strategic content strategy, and connection to their target market(s) through Social Media and Ad Channel Management. We are experienced strategists with a unique approach to transforming product and service brands into a more tightly-focused, cohesive presentation. Our Design and Marketing Portfolio shows some of the many clients we have worked with locally, nationally, and internationally, but what it doesn’t demonstrate is the value our websites and marketing plans have added to their businesses. There are many agencies who can provide you with the same services, but we feel confident that no one will bring you the value we do. In addition to the value we provide our clients, we also believe strongly in giving back. We offer non profit discounts because our founders have sat on many non profit boards and know the power those dollars saved can have. We give back our time, talent and treasure to many local and national non profits, because we are committed to doing our part in making our community stronger together. We welcome you to join us and learn more about how you can “Give Your Brand a Refreshing Edge” with us. Our Capabilities include: Branding, Web Design, Web Development, Design, Marketing, Content Strategy, Social Media Management and Implementation, Retargeting, Ad Channel Management, and Analytics.